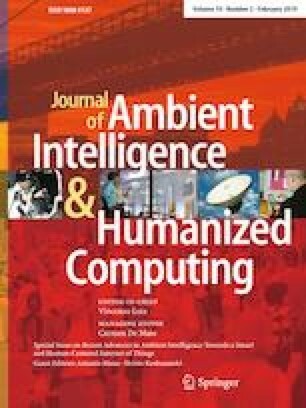 In this paper two new ways for efficient secure outsourcing the decryption of key-policy attribute-based encryption (\(KP-ABE\)) with energy efficiency are proposed. Based on an observation about the permutation property of the access structure for the attribute based encryption schemes, we propose a high efficient way for outsourcing the decryption of KP-ABE, which is suitable for being used in mobile devices. But it can only be used for the ABE schemes having tree-like access structure for the self-enclosed system. The second way is motivated from the fact that almost all the previous work on outsourcing the decryption of \(KP-ABE\) cares little about the ciphertext length. Almost all the previous schemes for secure outsourcing the decryption of ABE have linear length ciphertext with the attributes or the policy. But transferring so long ciphertexts via wireless network for mobile phone can easily run out of battery power, therefore it can not be adapted to practical application scenarios. Thus another new scheme for outsourcing the decryption of ABE but with constant-size ciphertexts is proposed. Furthermore, our second proposal gives a new efficient way for secure outsourcing the decryptor’s secret key to the cloud, which need only one modular exponentiation while all the previous schemes need many. We evaluate the efficiency of our proposals and the results show that our proposals are practical. The second author and fourth author are the corresponding authors. The first and second author is supported by the National Key Research and Development Program of China under Grant No. 2017YFB0802000, the National Natural Science Foundation of China under Grant Nos. 61572390, U1736111, the Natural Science Foundation of Ningbo City under Grant No. 201601HJ-B01382, and the Open Foundation of Key Laboratory of Cognitive Radio and Information Processing, Ministry of Education (Guilin University of Electronic Technology) under Grant No. CRKL160202. The fourth author is supported by the National Cryptography Development Fund of China Under Grants No. MMJJ20170112, National Key Research and Development Program of China Under Grants No. 2017YFB0802000, National Nature Science Foundation of China (Grant Nos. 61572521, 61772550, U1636114, 61402531), the Natural Science Basic Research Plan in Shaanxi Province of china (Grant Nos. 2016JQ6037) and Guangxi Key Laboratory of Cryptography and Information Security (No. GCIS201610).